This tea table features a play of the most characteristic shapes of the creative poetry of Pierre Cardin – the square and the sphere. In this piece, the table top is a decorative element positioned halfway up the aluminium support. The objective is to create a light, fresh feeling through the use of simple, basic and brightly coloured elements on a black structure. 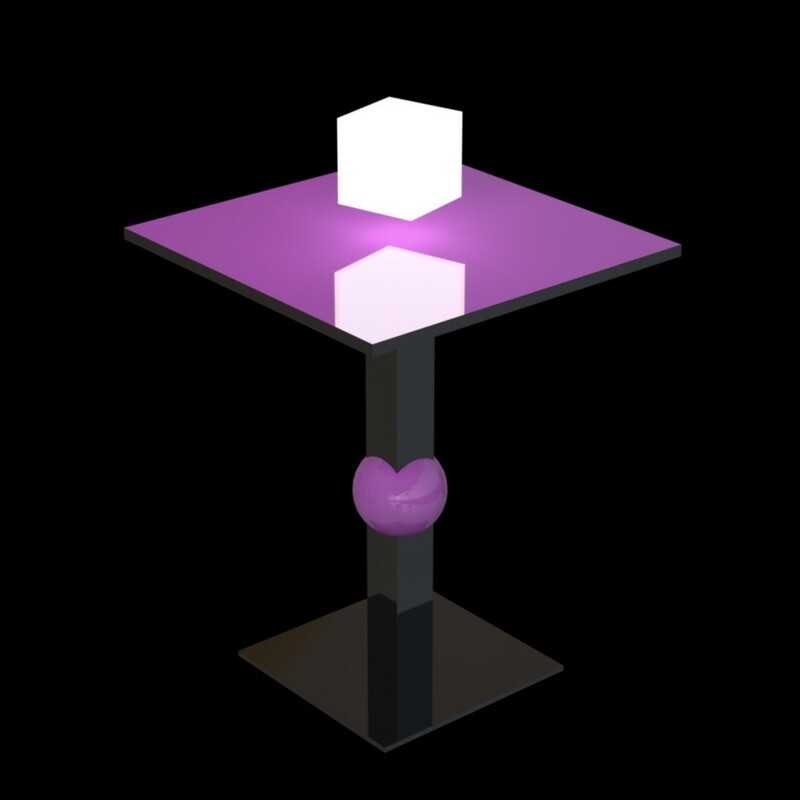 Upon request, this tea table is available with a special feature – an illuminated cube held in stable magnetic suspension. The magnetic system runs on lithium batteries, while the LED lights run on salt batteries. Both require weekly charging. See the full tea table’s series gallery.